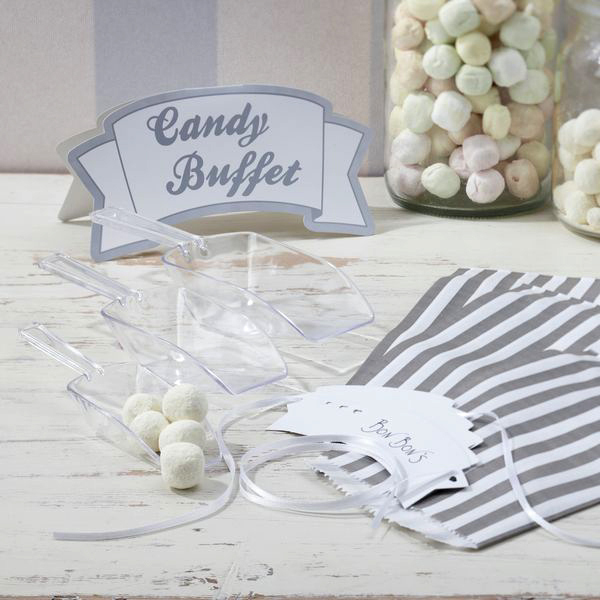 Nostalgic sweets are right on trend and hugely popular for weddings. 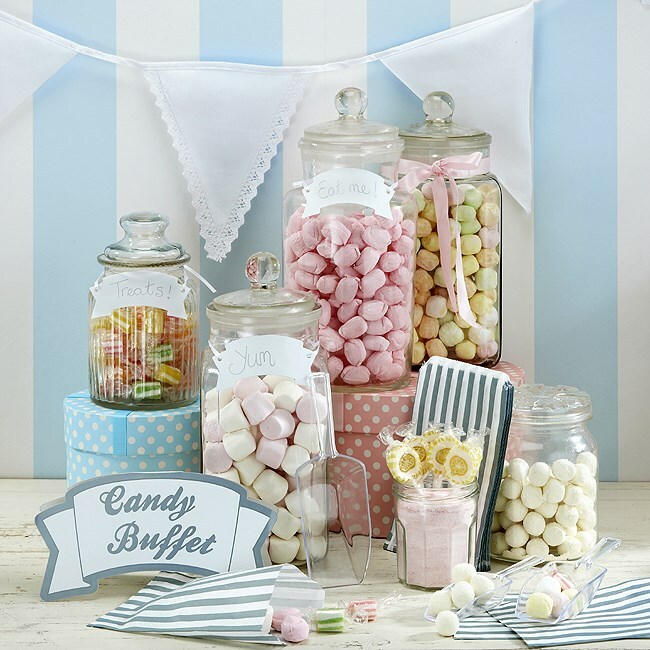 Use this candy bar kit from our Vintage lace range to make your Candy Buffet stylish and inviting. 25 pretty stripe bags 19.5cm high x 11.5cm wide. 3 tie on labels and 3 handy scoops.